The Chicago Bears' nightmarish run of injuries has claimed another victim as wide receiver Kevin White has been placed on injured reserve with a fractured fibula. White, who missed the entire 2015 season with a shin injury, injured the ankle in Sunday's win over the Detroit Lions. There is a chance that White could return off of injured reserve before the end of the season, with the earliest possible return date coming when the Bears play the Lions in Week 14. The Bears have also hinted that cornerback Kyle Fuller, who is on injured reserve with a knee injury, could come back this season, but they will only be able to activate one of the two players, meaning that one of their seasons is over. White is just the latest Bears player to miss significant time with an injury. 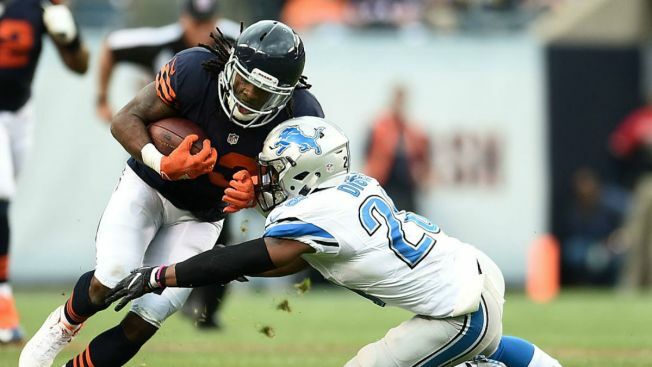 Danny Trevathan underwent thumb surgery earlier this season and has already missed two games. Eddie Goldman has also missed time with an ankle injury and is expected to be out for at least another couple of weeks. Running back Jeremy Langford is also out with a serious ankle injury, and Hroniss Grasu and Lamarr Houston have already been placed on injured reserve with knee injuries.